A. I’m based in Redcar, which is on the north-east coast of England. Q. How long have you been designing tiles? 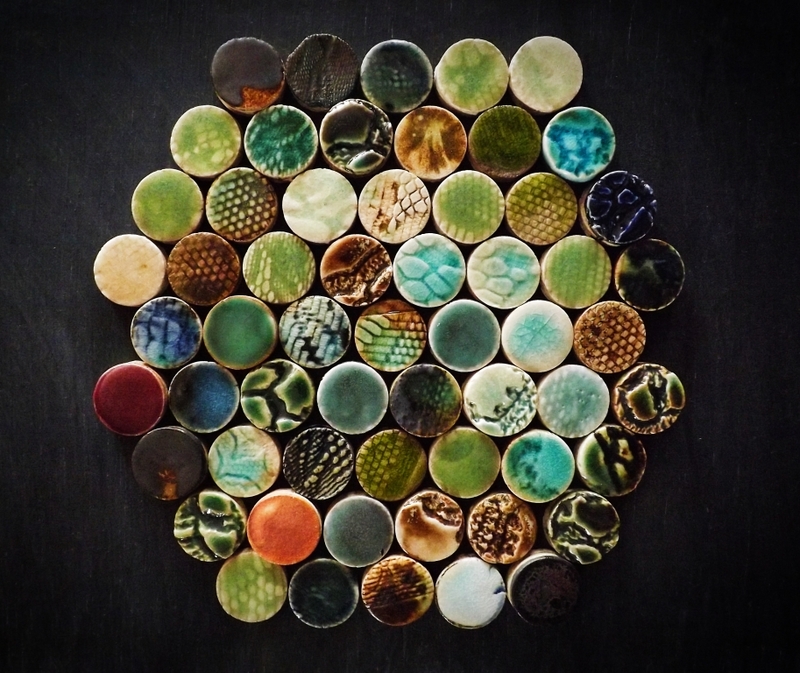 Please tell us how you became interested in the tile design business? A. I made a lot of tiles in the late 90s on the ceramics part of my degree course at university, before embarking on a completely different career in social care. I always missed using the skills I’d mastered in ceramics, so three years ago when I had the opportunity to buy a kiln, I jumped at the chance to take the plunge and return to what I enjoy doing most. 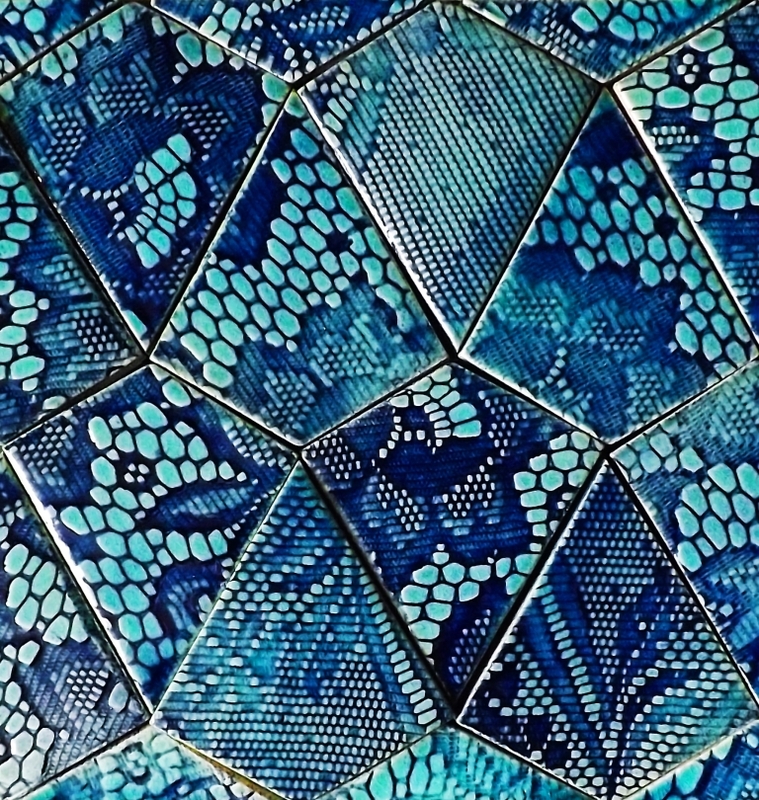 A. I take inspiration from a variety of sources: Scandinavian textiles, midcentury ceramics, Japanese tea bowls, Victorian tiles and the colorful geometric repetition found in Islamic tile work and zellige. 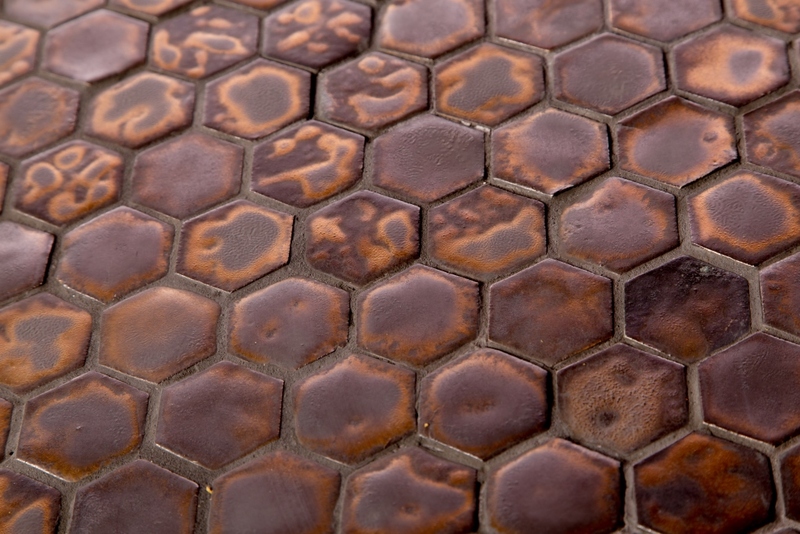 I am currently loving any ceramics that look like they have “lived” a little, such as crackle and cratered glazes, foot-worn floor tiles and smoke-aged wall tiles. A. I work with clay and make stoneware tiles. These are fired to a higher temperature than earthenware tiles, meaning they are stronger, harder wearing and more impervious to water. Q. How do people hear about your tile creations? Please include anything you would like our readers to know in order to better understand and appreciate your passion for designing tile. All of my work is produced by hand. The clay is rolled out with some designs requiring subtle textures to be impressed into it, before being allowed to dry a little. The tiles are then hand-cut, whereas many other handmade tile makers use molds. I find that hand-cutting keeps to the truest sense of the term “handmade.” After a first firing, colors and glazes are applied either by brushing or dipping. The underglaze colors and the glazes are all hand-mixed by hand from raw materials. Some of my work is also sawdust-fired outside using local seaweed and driftwood to create interesting color effects. 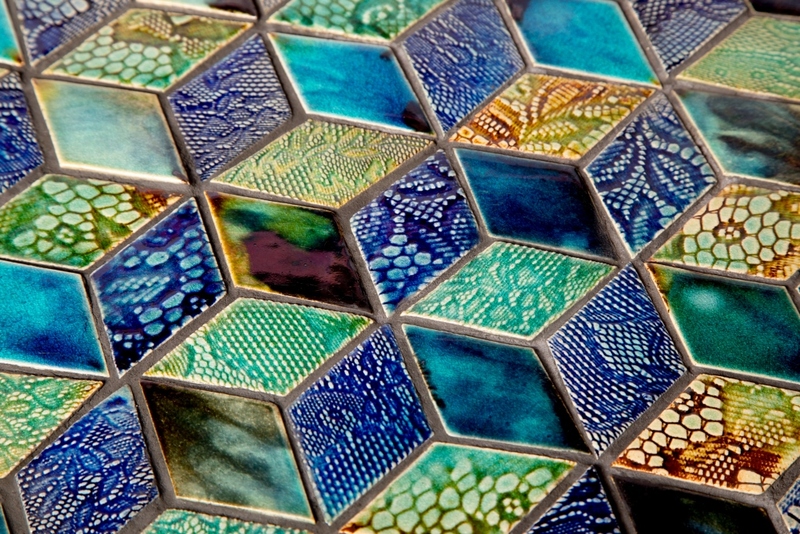 Each tile is a unique, hand-produced work of art in itself, as well as having practical uses.